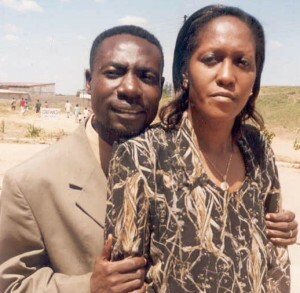 Biography: Stephen and Gladys' ministry is based in Kitwe, Zambia, in a province called Copperbelt, an area founded on copper mining. With the recent economic transitions, the Mwakibingas have seen an increased hunger for God. They have established their ministry with cell groups across the city and encourage every church they plant to grow through cells. These groups are nurturing as well as evangelistic. All Nations Harvest Ministries International was birthed in 2002 after more than fifteen years of Stephen's ministry as an evangelist and missionary. This non-denominational church that began in a living room has now grown to five hundred membership and has planted eight churches. They have recently started a Bible school to help equip the believers and also give them life skills for making a living. Stephen and Gladys' mission is to bring hope through preaching, care, establishing strong apostolic churches, equipping and discipling the saints for the work of the ministry to impact the world and empower them to live responsible lives. Strengths: Stephen has prophetic and apostolic gifts. Gladys co-pastors and excels in overseeing the Women's Ministry. Together they present a reliable and dependable unit that builds relationships and treasures integrity and prayer. Steven and Gladys also ahve two adult children, Yvonne and Nataasha.